Welcome to the Los Angeles Chapter of NAPNAP's Website! Please like us on Twitter and Facebook! Our Mission is to promote optimal health for children and support nurse practitioners caring for children through leadership, practice, advocacy, education, and research in the greater Los Angeles area. Children in Los Angeles experience optimal health, prevention of illness, and increased access to care through the efforts of the nurse practitioner. Association members provide the highest quality healthcare and experience personal and professional satisfaction. The inherent value of all children. 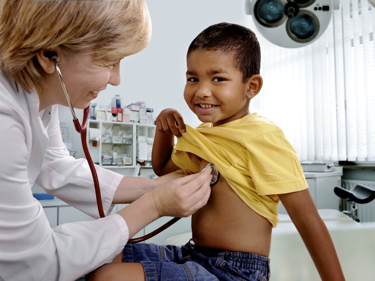 Access to the highest quality health care for all children. Compassion, leadership, innovation, diversity, collaboration, ethics, and resourcefulness in all of our operations. Promote professional development that is responsive to the needs of our members. Support nurse practitioners and advanced practice nursing students through scholarship, leadership, and mentorship. Provide opportunities for continuing education programs to promote evidence-based practice. Promote the health and well-being of children, families, and communities through outreach efforts. Learn about the importance of becoming Certified as a Pediatric Nurse Practitioner through PNCB, and begin the process today! View the conference brochure and register online for NAPNAP's Annual National Conference. You can also find information about our Annual Regional Conference. Visit our resource center for nursing students. Also view Scholarships available for students through our local chapter and national organization.